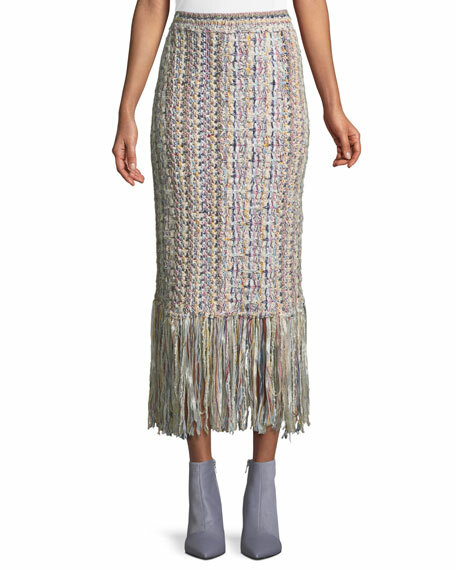 Adam Lippes hand-knit tweed skirt. Made in USA of French materials. A.L.C. 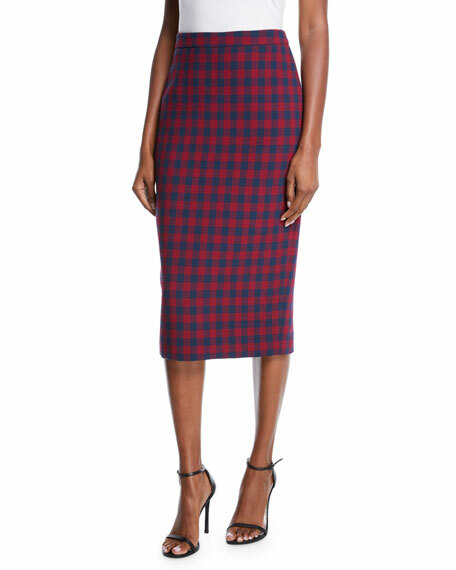 "Thea" plaid skirt. Straight silhouette. Midi length. Vented back. Back zip. Virgin wool. Polyester lining. Dry clean. Imported. 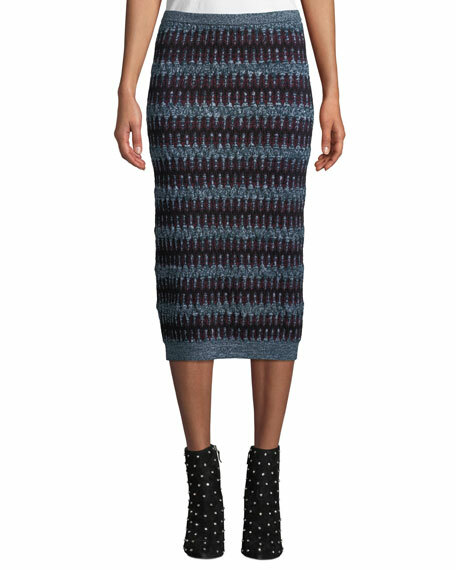 Carven "Zigzag" tube-style jacquard skirt. 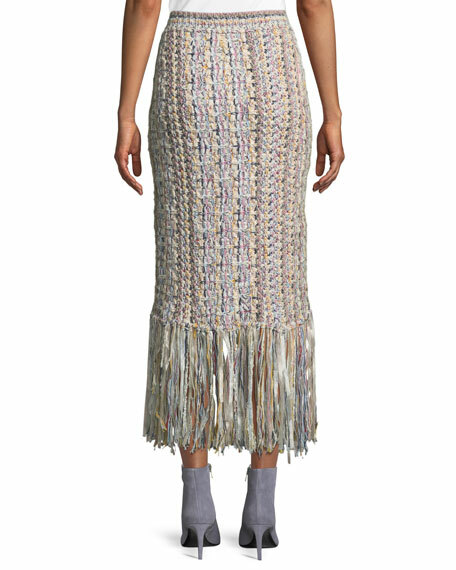 Ribbed waistband and hem. Body-conscious silhouette. Midi length. Pull-on style. Cotton/merino wool. Dry clean. Imported. 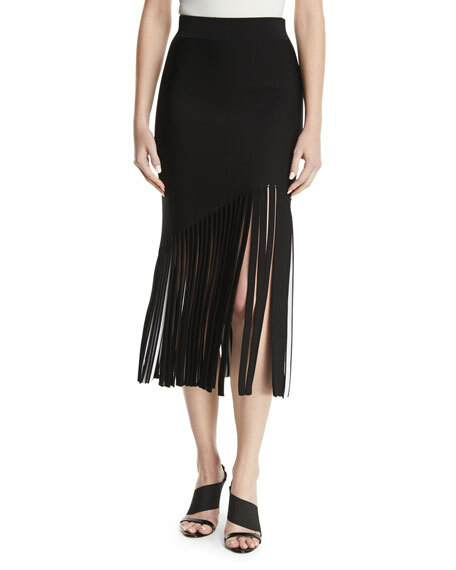 Cushnie skirt with fringed hem. Sits at natural waist. Fitted silhouette. Midi length. Viscose/polyester. Dry clean only. Made in USA of Italian materials. Model's measurements: Height 5'11"/180cm, bust 31"/79cm, waist 23"/58cm, hips 34.5"/87cm, dress size US 0/2. 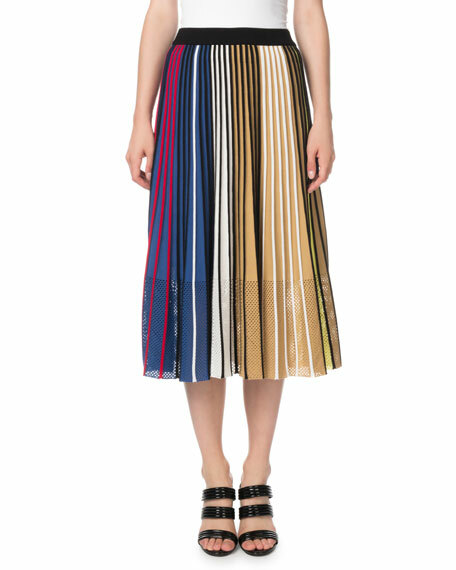 Kenzo pleated skirt in vertical stripes with mesh inset. Solid elasticized waistband. A-line silhouette. Midi length. Pull-on style. Viscose/cotton/polyester. Machine wash. Imported.